I went to my co-worker and friend's first baby shower. 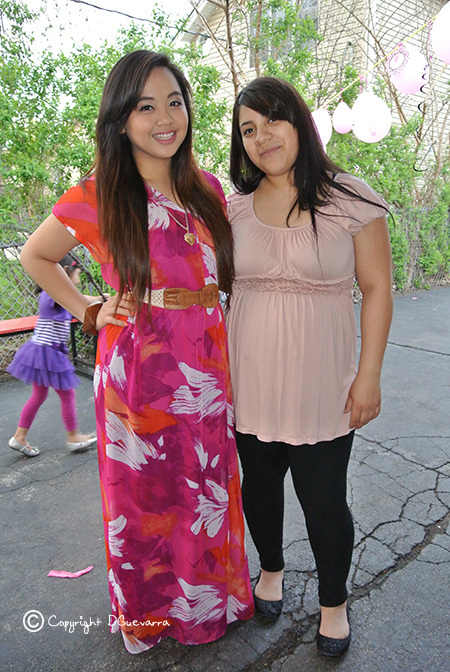 It was such a cute baby shower. Anyway, This is what I wore. I got this dress from Target. It's so cute!!! It was such a good deal too. I added a belt on it to accentuate my waist. I love this print, it's just so fun and the colors are so vibrant. Dresses are so easy to wear. If you don't know what you want to wear, wear a dress and add accessories, you'll save yourself time and a headache.